Customers, surveyors and other business partners were invited to the celebration of Hoyer's new Test Center. 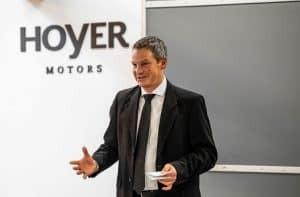 Friday the 18th of January 2019 Hoyer Motors officially opened the new Test Center at the headquarters in Denmark. Customers, surveyors and other business partners celebrated the opening with the employees from Hoyer. The Managing director of Wärtsilä Denmark cut the ribbon together with Hoyer CEO Henrik Sørensen, and the first official test runs could start. “The new test centre is the natural extension of our strategic focus on the large OEM producers within our market segments. It is crucial that the manufacturers and their customers can trust our documentation and quality. It shows that we are a serious business partner and we thereby establish trust. We are very thankful that so many people took the time to visit us and celebrate our new facilities with us,” says Henrik Sørensen. In the first instance the new test centre will be able to conduct no-load tests on motors up to 1,000 kW, with a voltage between 110-830 volts and at frequencies up to 120 Hz. This is the first out of three steps in developing the test centre. 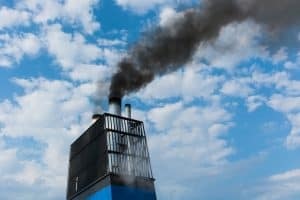 Over the course of 2019 the testing possibilities will be extended further. Read more about the Hoyer Test Center and the next steps here.